Almost two hundred people attended the celebration of Jack Meehan's life in Falls Church on Friday and Saturday. Mourners watched a beautiful slide how of photos of cherished memories while Jack's music played in the background. On Friday, we had a prayer service which included a time of open sharing and a touching tribute/eulogy by Grandaughter Katie at our Prayer Service, the reading of a letter of commendation by the Irish Ambassador for Jack's major musical contributions. I presided at the Wake and Funeral Services. Jack's granddaughter, Katie, delivered a touching eulogy at both services about the magic of growing up with Grandpa and his stories of Ireland. The legacy of his mystical, humorous tales of banshees, fairies and real people that occured a long, long time ago will live on in the hearts of Katie and Danny and all of us for years to come. At the funeral on Saturday, family members and friends carried up symbols from Jack's life including trumpet, wrench, a cottage music box, photos. The funeral service included beautiful readings from scripure, prayers, and recordings of Jack playing on trumpet and sax some of his favorite spirituals: "How Great Thou Art," "Amazing Grace," "Peace if flowing like a River", and "When the Saints go Marching in". We are grateful for all the prayers and message of sympathy that our family received from all over the United States, Latin America, Ireland and Australia. Eternal rest unto you, Dad, may your soul and all the souls of the faithfully departed rest in peace. Amen. and of Mary, his Sister, daughter and priest. loving him, their gentle love. To eat and live again. for he was music, and music cannot die. and is free in Inishfree. Help, Thanks, Wow, by Anne Lamott, A Must Read -Wise and Funny! "My personal belief is that God looks through Her Rolodex when She has a certain kind of desperate person in Her care, and assigns that person to some screwed-up soul like your or me, and makes it hard for us to ignore that person's suffering, so that we show up even when it is extremely inconvenient or just awful to be there." Anne Lamott, Help, Thanks, Wow, p. 25. Anne Lamott's book, Help, Thanks, Wow speaks to me because my prayer this year could be summarized by these three words, especially Help! My Dad, Jack, died on Sat. after almost a year of debilitating illness. He was a devoted dad and my best friend. I will miss him more than words can say, but, I give thanks for his life, lived fully, especially his gift of music that was truly Wow! My Sister-in-law, Nancy, gave this book to me as an early Christmas gift and it is a keeper and a treasure! Poignant and funny at thee same time! Into jaws of cruel inquisition? That sent you once so boldly forth to mission? To join you in the gospel call to love the world. Why are they now not worthy of your voice? Together stand with Father Roy today. Display the courage that your lives proclaim. Shall we not trust each one’s integrity? "Dorothy Day is a hero of the Catholic left, a fiery 20th-century social activist who protested war, supported labor strikes and lived voluntarily in poverty as she cared for the needy. Cardinal Dolan has embraced her cause with striking zeal: speaking on the anniversaries of her birth and death, distributing Dorothy Day prayer cards to parishes and even buying roughly 100 copies of her biography to give out last year as Christmas gifts to civic officials including Mayor Michael R. Bloomberg..."
..."Cardinal Dolan is, in one sense, the natural advocate for Day, because she lived most of her life in his archdiocese and her canonization was proposed by one of his predecessors. But promoting Day’s sainthood cause is also politically useful for him, and other bishops, at a time when the hierarchy is often described by liberal Catholics as caring more about reproductive issues than poverty, some Catholics said. “...But some of Day’s closest supporters are critical of how conservatives interpret her message on the role of government. “I think she would be appalled to have her commitment to voluntary poverty and works of mercy and charity in their deepest sense be used as cover for an agenda that I think she would see as part of a war against the poor,” said Mr. Ellsberg, a former editor of The Catholic Worker newspaper that Ms. Day founded with Peter Maurin in 1933. .."
When Cardinal Dolan talks about why he supports Day, he tends not to mention her arrests at protests of nuclear weapons or at a farm labor protest with Cesar Chavez. Instead, he describes her as a sinner whose life was transformed when she converted. But her granddaughter, Martha Hennessy, 57, who volunteers in the East Village at Mary House, a Catholic Worker refuge for the poor that Day founded, said in an interview that she found the bishops’ increasing focus on her grandmother’s abortion uncomfortable. Her daily work continues. The Catholic Worker, a newspaper she helped start has grown into a broad movement, and more than 200 Catholic Worker houses of hospitality continue to serve the poor around the country. Followers of the movement — who do not have to be Catholic — run soup kitchens, rooming houses and clothing distributions, and continue to hold protests, which these days are focused on torture, drone attacks and other aspects of the war on terror. At St. Joseph House on First Street in the East Village on a recent Thursday, a kitchen full of volunteers rinsed down giant stockpots and bowl-size ladles after finishing the morning’s soup line for the neighborhood poor. Around 25 residents and volunteers live in the graffiti-tagged building, relying on donations for their work. More Catholic workers live two blocks away in Maryhouse, the refuge where Day lived the final years of her life. As the volunteers gathered for lunch at St. Joseph House — in a simple dining hall hung with hand-drawn pictures of Day, a portrait of the Rev. Dr. Martin Luther King Jr. and a crucifix — Carmen Trotta, who has lived in the house for a quarter-century, said that while he believed Day’s message of pacifism and works of mercy should be the focus of discussions about her possible canonization, he was confident that anyone who read her writings would understand her priorities. “None of us really have any doubt that she was a saint,” he said. As we draw near to Christmas and the close of 2012, we look back on this year with great joy and extreme gratitude. We give thanks for you, our supporters. Together we are moving toward a renewed inclusive Christ-centered, justice seeking Catholic Church emerging in more and more places led by ordained women. In 2012 five women were ordained as priests and another six women as deacons. We anticipate the ordination of as many as nine women as priests in 2013. In spite of the Vatican-imposed punishment of excommunication our movement for Gospel equality continues to grow. world community. We are active in ministries with those who are living on the margins due to homelessness, racism, poverty and difference. We serve as pastors for house churches and inclusive Catholic communities. We are educators and authors, retreat leaders and peace activists. We provide pastoral care in a variety of medical settings. 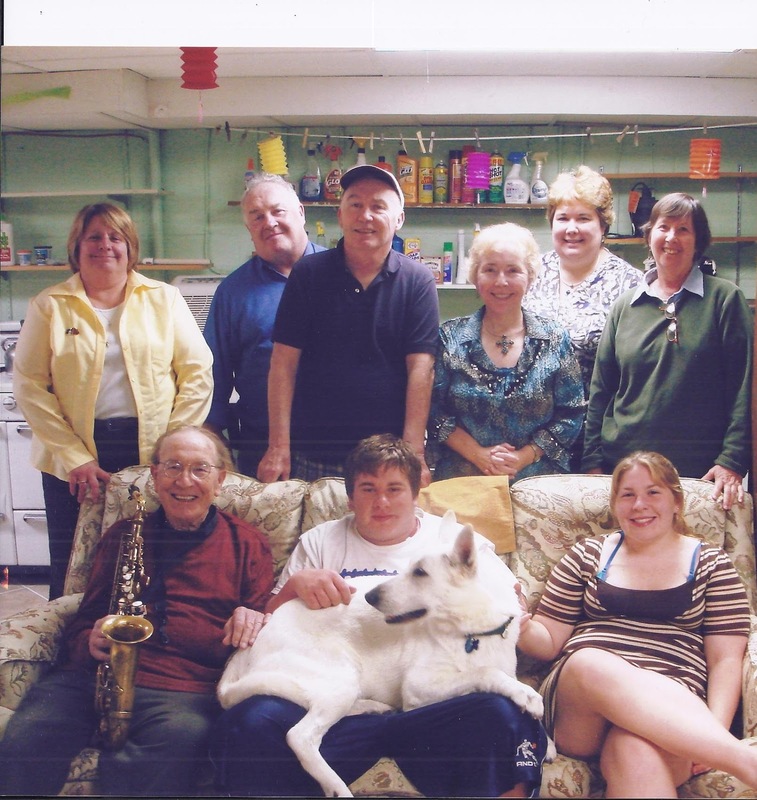 We work with youth, families, the elderly and the disaffected to heal and build community often in ecumenical settings. As we look ahead to 2013 we know that we will need increased financial support. Our largest expense is for our ordinations and all the ways we spread the good news of the women priest movement: speaking to groups in colleges and universities and at showings of the documentary “Pink Smoke”, through our website, and by visiting and collaborating with our priests in South America. We invite you to visit our website (www.arcwp.org) and Bridget Mary’s blog (bridgetmarys.blogspot.com) for the latest in our movement for a renewed inclusive church. Jack Meehan, My Dad, Died On Sat. 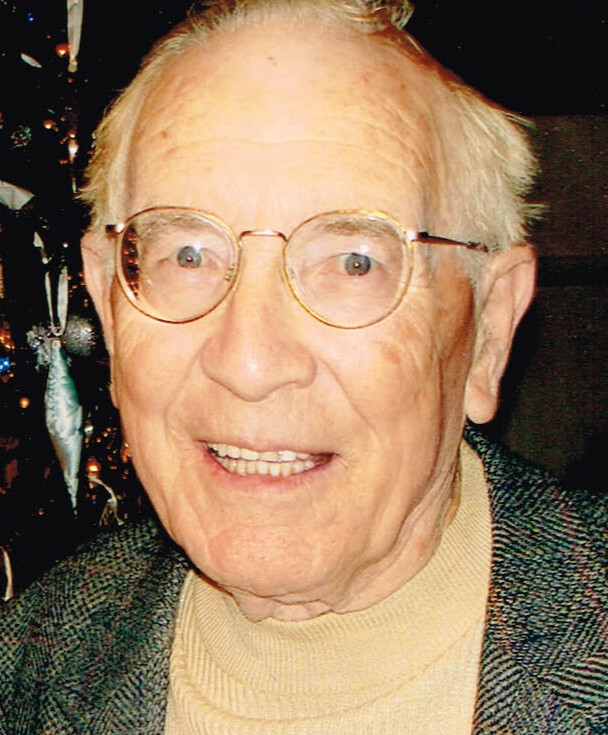 Nov. 24th/Wake And Funeral Will Be Held In Falls Church, VA.
"When Saints Go Marchin In"
Jack Meehan of Falls Church passed away peacefully at home with family members at his side after a long illness on November 24, 2012. He was born on October 4, 1924, in Ballyroan, County Laois, Ireland. Jack was married September 25, 1946, to Bridie Beale, who preceded him in death. Jack was the beloved father of Sean, Patrick, and Bridget Mary. The family immigrated to the United States in 1956. 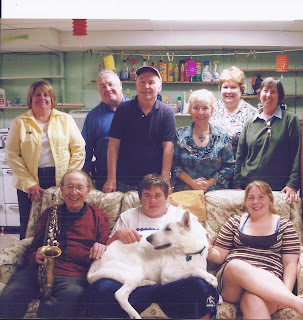 A gifted musician, Jack played trumpet and saxophone and he and his band entertained in the DC area for over 40 years. His band was the house band for Army-Navy Country Club for over 20 years and also performed for three US Presidents (Kennedy, Johnson, and Nixon) as well as at Congressional and embassy functions. Jack retired from the Brookings Institution in 1991 after 30 years of faithful service. Along with his children, Jack is survived by his beloved grandchildren, Katie and Danny, and his daughters-in-law, Nancy and Valerie, as well as many family members and friends in Ireland, England and Australia as well as the US. Services will be held at Everly Funeral Home, 6161 Leesburg Pike in Falls Church. Viewing from 2-4PM, 6-8PM on Friday, November 30. Funeral in Everly Funeral Chapel at 10:00 AM on Saturday, December 1, followed by interment at Oakwood Cemetery, Falls Church. In lieu of flowers, donations may be made in Jack’s name to Capital Caring Hospice, 950 North Glebe Road, Suite 500, Arlington, VA 22203. Our family is grateful for the outpouring of prayers and loving support from so many people who loved Dad and enjoyed his fabulous music. We will miss him more than words can say, but his spirit and music will live forever. May the road rise up to meet you, Dad, may the wind be always at your back, may the sun shine warm on your face, the rain fall softly on your fields and, until we meet again may God hold you in loving embrace! 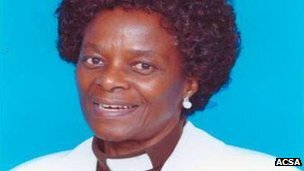 "Elinah Wamukoya Said She Would 'Represent the Mother Attribute of God'"
Ellinah Wamukoya said she would "represent the mother attribute of God"
the Anglican Church of Southern Africa has consecrated its first woman bishop in Africa. Ellinah Wamukoya, 61, will serve as the church's bishop in the small, conservative kingdom of Swaziland. Her consecration comes as the Church of England is due to vote on whether to allow women to become bishops. "We have taken this step, and we wish the Church of England 'God speed' as they deliberate this week," Cape Town's Anglican archbishop said. The Most Revd Thabo Makgoba of Cape Town said in a statement: "The thunder is rumbling as I write: We have witnessed a great occasion, and now it does indeed seem that the heavens are about to fall upon us - the falling of rain, which this country and its people so desperately need. David Dinkebogile led Saturday's ceremony and stressed that the gathering was to consecrate a bishop "not a black woman, not an African, not a Swazi woman". "She was to be pastor to all, to men and women, to black and white, to Swazis and all others in her diocese," he said. Bishop Wamukoya is a former mayor of Swaziland's economic capital, Manzini, reports the AFP news agency. "I am going to try to represent the mother attribute of God," she told the AP news agency. "A mother is a caring person but at the same time, a mother can be firm in doing whatever she is doing," she said. Church Authority/Where are the people of God, including the women who are half of our church? 3. Add more women in every category here so our church represents its members, not just the male, hierarchical, clerical system.